Siamese have fascinated folks around the world since they were first officially exported from Thailand, or as it was known then Siam, in the late eighteen hundreds. Their sleek lines, striking color contrast, finely chiseled aristocratic heads, deep blue almond eyes, and short silky coats make them living art. Combine this beauty with acute intelligence, inquisitive personality and a loving nature and you have the essence of the Siamese cat. The first Siamese to appear in England were a gift from Siam to an ambassador who brought them home. They began appearing in English cat shows almost immediately, and in American shows by the early twentieth century. Seal points, still the best known variety, were the first to arrive. With their seal brown, almost black extremities and their pale fawn bodies, they were sensational. While chocolate points, with creamy white bodies and milk chocolate legs, tail, mask and ears did appear from time to time, it was the blue point that gained official recognition in 1934. The blue point has a bluish-white body with slate blue points. The chocolate point was recognized next. In 1955 the lilac point followed and completed the breed. The lilac point has pinkish gray points with a white body which makes it most ethereal and delicate in color. The long Siamese head is delineated by an absolutely straight profile and well aligned chin. From the front, the outline of the face presents a smooth wedge with large ears that complete the wedge. The outstanding feature of the head is the pair of deep blue almond eyes (an eye’s width apart) which are set at a slant. If you have been able to resist all the other attributes of this breed, the eyes will captivate you. They radiate intelligence and emotion. This ancient breed, perhaps the oldest of all our cats, is able to communicate like no other. The Siamese voice is legendary. They speak both with their voice and with their body. They are the quintessential “people” cat, for they love to be in your lap, on your bed, at your table#and in your heart! Pricing on Siamese usually depends on type, applicable markings and bloodlines distinguished by Grand Champion (GC), National or Regional winning parentage (NW or RW) or of Distinguished Merit parentage (DM). The DM title is achieved by the dam (mother) having produced five CFA grand champion/premier (alter) or DM offspring, or sire (father) having produced fifteen CFA grand champion/premier or DM offspring. Usually breeders make kittens available between twelve and sixteen weeks of age. 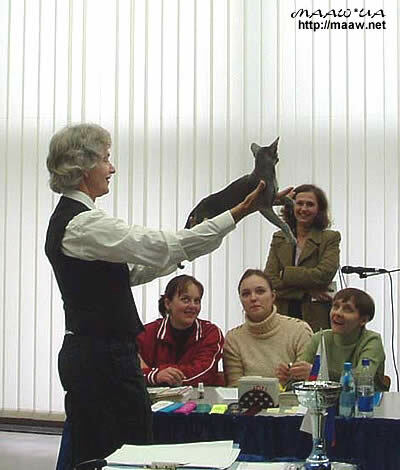 After twelve weeks, kittens have had their basic inoculations and developed the physical and social stability needed for a new environment, showing, or being transported by air. Keeping such a rare treasure indoors, neutering or spaying and providing acceptable surfaces (e.g. 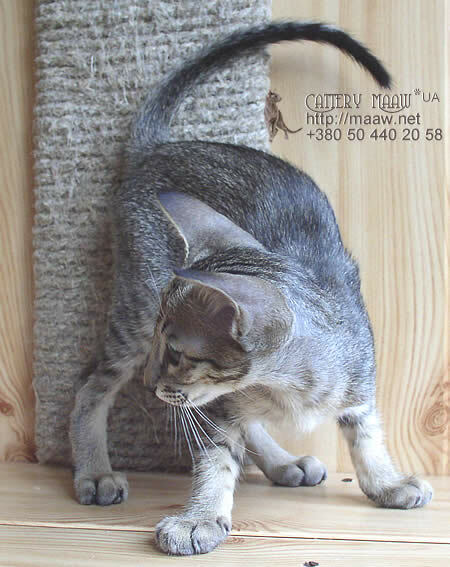 scratching posts) for the natural behavior of scratching (CFA disapproves of declawing or tendonectomy surgery) are essential elements for maintaining a healthy, long and joyful life. There are CFA clubs devoted to the promotion, protection and preservation of the Siamese breed. For more information, please send inquiries to CFA, PO Box 1005, Manasquan NJ 08736-0805.